Three strikes and you’re out, or third time’s the charm? Either way you’re approaching “UFC 170: Rousey vs. McMann,” after two straight duds, it’s undeniable that the Octagon is in desperate need of an exciting show. Twenty of the last 24 UFC fights have resulted in decisions, most being of the uneventful variety. 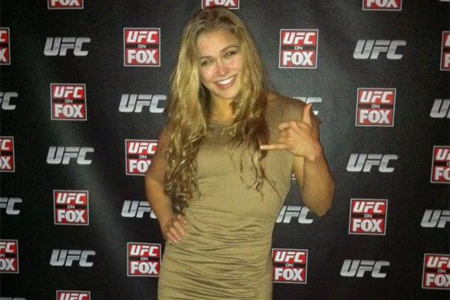 In steps UFC bantamweight queen Ronda Rousey (pictured). “Rowdy’s” resume speaks for itself, with all eight of her pro scraps ending via armbar. Saturday’s opponent Sara McMann, meanwhile, enters her golden opportunity on the heels of April’s TKO finish over Sheila Gaff. The chances are high the ladies will put on a show in UFC 170’s featured attraction, but there are 10 bouts before theirs. How will the others fare?